What is a farm cooperative? Our farm co-op is an alternative model for farming that partners consumers with their local food producers. By being a member of the farm, you are taking a more active role in agriculture. The basic idea is that members of the community take the risk of farming along with the farmers in their community. So if the farmer has a great year, the members do as well. If the farm suffers from extreme weather, the community helps keep the farm from going out of business by absorbing some of the impact on the farmers. I already grow my own garden. Why would I join? Because you can spend your points however you like, you can use them on items other than what you raise at home! In addition, our offerings go beyond vegetables to include meat, eggs, baked goods, and mushrooms. The Savage River Farm co-op can be a nice complement to your garden! Why should I join when I can just buy what you have at the market? Many reasons! As a member, you will get our products at a lower price than we will sell to non-members. It is worth it to us to have your commitment, and we are happy to cut you the best deals we can. Also, due to high demand, co-op members get first crack at everything the farm has to offer. Some of our items, like honey or ground beef, never even make it to the market because our coop members take it all on Wednesday when they come out to the farm. What all do you get to choose from for your shares throughout the season? We grow an enormous array of vegetables and fruit including different varieties of beans, cabbage, carrots, beets, turnips, lettuce, arugula, spring mix, radishes, onions, garlic, potatoes, spinach, scallions, tomatoes, eggplants, peppers, sweet corn, squash, zucchini, cucumbers, pumpkins, chard, kale, kohlrabi, collards, broccoli, peas, celery, gourds, herbs, strawberries, popcorn, and melons. In addition, we raise mushrooms, free-range laying hens, meat chickens, rabbits, turkeys, lambs, beef, and pigs. We also offer baked goods made with locally milled organic grains and ingredients from the farm. Can I really put whatever I want in my share? Yes! Everytime you come to the farm, you choose exactly what you want to take. Going away for the weekend? Just take a little bit. Having a big party? Stock up on ribs and burgers! But because this is a free-choice cooperative, weekly shares are given on a first-come, first-served basis. This means there is a chance that some popular items will "sell out" faster than others. Please understand this. Further, we will at times put a limit on the number of points each member can spend on a single item so that everyone gets a fair crack at it. We are located on the western side of Big Savage Mountain in the community known as Pocahontas in Somerset County, PA. The southern border of our farm is the Mason-Dixon Line. Grantsville, MD - 16 mi. Salisbury, PA - 10 mi. Frostburg, MD - 9 mi. Springs, PA - 12 mi. 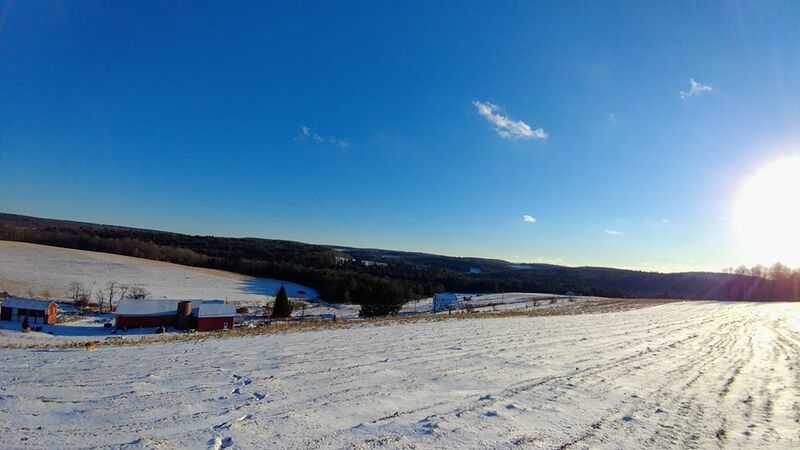 Meyersdale, PA - 10 mi. Accident, MD - 28 mi. Cumberland, MD - 20 mi. Keyser, WV - 33 mi. Deep Creek, MD - 33 mi. Friendsville, MD - 31 mi. Oakland, MD - 40 mi.